Their love story is the kind of love story you never imagine happening in real life. Listening Torend and Christina recount their love story, give you chills. You can see how God delicately intertwined there lives to come together in the most perfect way. You can’t help but thank how amazing and good God is. He carefully planned each and every moment. Giving them a flood of signs they couldn’t ignore along the way. Slowly reassuring them that they had finally found the one! It was just about a year ago that Torend had a dreamt of the women who would be his wife. The very next day he found himself sitting next to her in class, and he was absolutely awestruck. When Christina laid eyes on Torend she clearly felt God telling her that he would be her husband. She’d waited for this moment her whole life. She smiles as she shares how certain she’d felt. She rushed home that night to share with her mother that same night that she’d met her husband. Throughout the few months they dated God kept reassuring them that they were meant to be together. After only a few months Torend proposed to Christina deciding to make it official. Christina and Torend had a beautiful Lake Arrowhead wedding at San Moritz Lodge It was a cool day August day filled with beautiful blue skies, a beautiful day for a wedding. The morning was filled with joy and anticipation as they prepared to declare their love and begin their happily ever after. Christina and Torend, it has been such a blessing getting to work with you over the last few months and to capture your beautiful wedding day. You are such a beautiful couple and I wish you lots of happiness and joy throughout your marriage. I am so grateful you trusted me to document this important moment in your love story. Christina was radiant, a small smile tugged on her lips as she prepared for her wedding day. Each moment that morning brought forth more realization that she was getting married to the man God had set out for her. 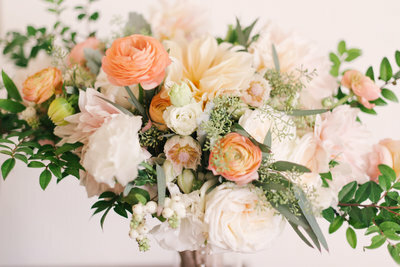 Jasmine Rose created the most beautiful florals for Christina’s wedding. 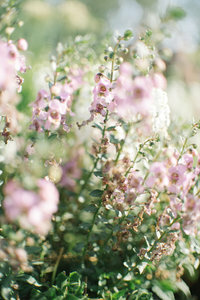 I loved the eucalyptus leaves, paired with soft pink flowers and baby breaths. This little flower girl completely rocked it. I had so much fun capturing her throughout the wedding days. 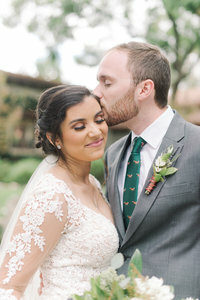 I love when couples choose to have a first look, but I also love when they make there wedding uniquely theirs. 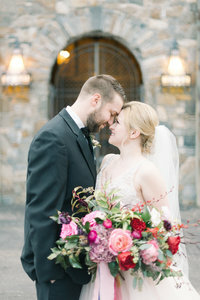 Christina and Torend choose to have a beautiful alternative to a first look. Before their ceremony they shared a private moment in which Torend gave praise for his beautiful bride and prayed for the future that awaited them. Trend couldn’t contain his emotion at seeing his beautiful bride. I loved it when both Torend and Christina’s family took a moment to pray for them during the ceremony. What a beautiful way for this couple to start their marriage, full of love and support from those closest to them. Just as the sun was setting Christina and Torend had the chance to enjoy a few moments together. Nestled into each others arms, Torend admired his blushing bride. Christina choose the most wonderful details to tie in the venue with her wedding. Soft lace, white daises, eucalyptus leaves and wood cuts. 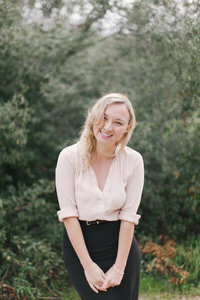 It truly brought in the sweetness of Christina’s personality with the look and feel of San Mortiz Lodge. How absolutely gorgeous was their wedding cake by Niki’s Custom Cakes. It was decorated to match their beautiful mountains surrounding Lake Arrowhead.